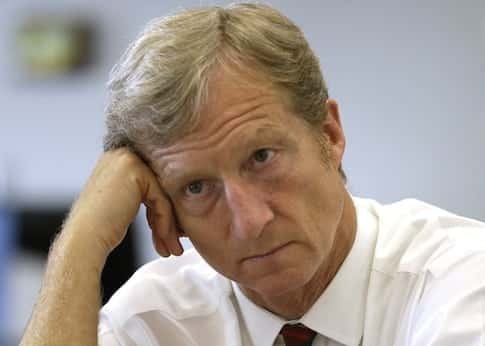 Tom Steyer, a hedge fund manager with a net worth of $1.6 billion, apparently thinks that he knows more about what’s best for your health than you do. Despite the mounting evidence showing that vaping is an effective smoking cessation aid and the proof that it’s much better for your health compared to smoking, he wants California to implement a new e-cigarette tax to discourage people from taking up the life-saving habit. Steyer, co-chairman of the Save Lives Coalition, is backing a petition drive to qualify an initiative for the November ballot that would raise the cigarette tax by $2 per pack, after a similar attempt to raise the cigarette tax recently failed to pass in the state legislature. The current tax on cigarettes in California is 87 cents per pack. The ballot initiative would also implement a tax on vapor products. “This initiative aims to save lives and stop teens from ever picking up the deadly tobacco habit in the first place. He also claimed the the issue is personal to him, because his mother smoked three packs a day and died from lung cancer. It’s a shame that he’s trying to discourage people from using the only method that could have potentially saved her life. Other supporters of this measure include Tom Torlakson, the state superintendent of public instruction, state Sen. Richard Pan (D-Sacramento), the American Cancer Society, the American Heart Assn., the American Lung Assn. and the California Medical Assn. Of course, no anti-vaping propaganda would be complete without trotting out the old “think of the children” nonsense. I guess they haven’t received the memo about that argument being a thoroughly debunked cliché at this point. At this point they are just launching the petition drive, so it isn’t officially on the ballot. But with this kind of funding it’s almost inevitable. If you live in California, make sure you do everything you can to encourage people to vote against it.